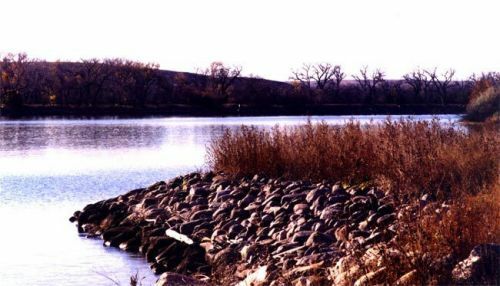 The Lewis & Clark Bicentennial Trail located along the Missouri River in Pierre and Fort Pierre, South Dakota, is a trail system that links over 30 miles of trails with nearly 50 historic, cultural, and recreational sites. The dramatic changes of scenery range from urban waterfront, dense woodlands, river bottom cattails and flowers, meadow grasses, and open prairie vistas surrounded by craggy bluffs. Lewis & Clark camped here, Scotty Philips saved the buffalo from extinction near here, eagles winter here, families play here, and most of the state's record fish in a multitude of species have been caught right along the trail.